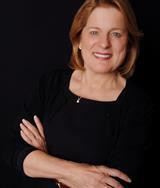 “Diana Meehan is “realtor supreme.” She can do it all! From buying & selling to managing your property. Diana knows everyone in Colorado – every tradesman she suggests is honest & trustworthy & gives you & Diana 100% of themselves. We wouldn’t use anyone else but Diana Meehan as our “Colorado Resource”!